One advantage of group travel is that, with a conscientious, well-informed guide, you effortlessly learn a great deal about the country as you travel through it. 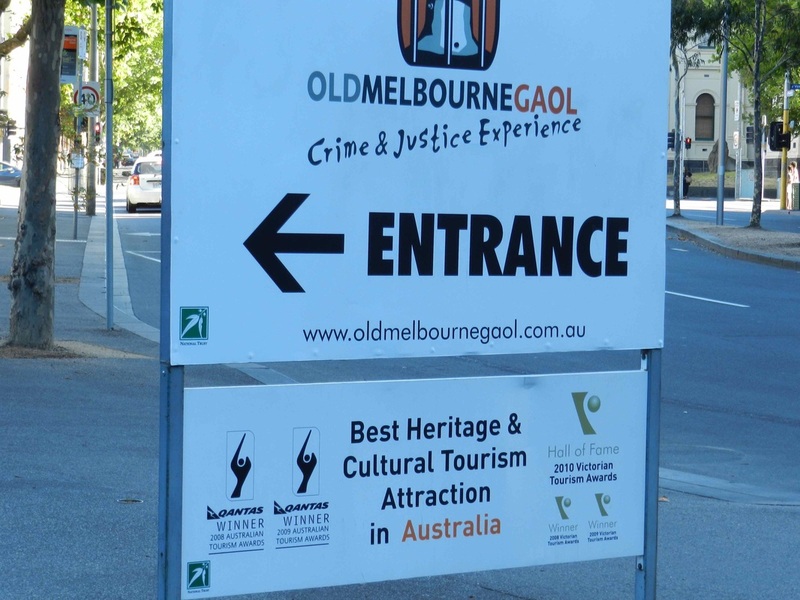 In Australia, what we learned from our tour leader Maree and local guides was supplemented by a wealth of information in this land of museums. Though we spent relatively little time in those institutions, we invariably picked up fascinating factoids in each one. 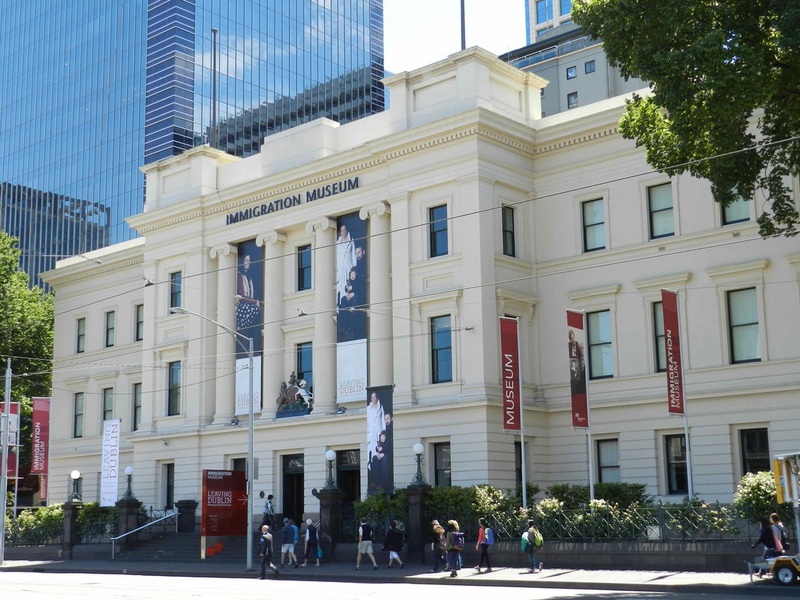 In the Immigration Museum in Melbourne, for instance, we discovered . . . Since 1788, about 9 million immigrants have entered Australia. Currently, about 25 per cent of the population is made up of immigrants. Partly because of Ireland’s potato famine (1849) and Australia’s gold rush (1852), a large percentage of immigrants have been Irish; there is a larger proportion of Irish in Australia than anywhere else outside of Ireland. Opium was legal until 1905. Prostitution and brothels continue to be legal, but street solicitation is prohibited. In the 1950’s and ‘60’s, American crime and horror comics were banned in order to protect the young. And . . . perhaps most interesting to those of the male persuasion, the museum boasts waterless urinals, using microbes to maintain hygienic conditions. 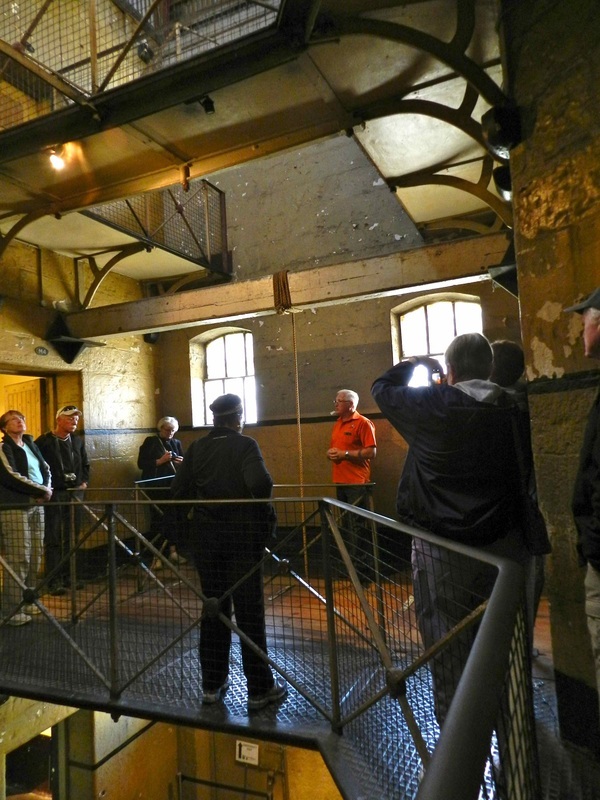 The Hapless Plight of Prisoners: Later, during a tour of the Old Melbourne Gaol (jail), we learned about the inhumane treatment of early Australian prisoners and were shocked to learn it was modeled after that of a Quaker jail in Philadelphia. Quakers! Those pious, peace-loving souls! The church of my childhood! Sometimes you have to leave home to learn the hard truths of history. In Melbourne, entering prisoners were given only a Bible to read and locked in solitary for 23 hours a day on the ground floor of the jail. It was believed this would “cure” them. (What were the jailers thinking?) Well-behaved inmates were later moved to the second or third floor where they could gain certain privileges, share cells with others, and possibly even get their sentences shortened. But there were drawbacks—especially on the third floor where cells were large and crowded, had no plumbing for disposal of human waste, and practically no ventilation, a particular hardship on hot summer days. Just imagine! Their culture, estimated to be 50,000 years old, is the longest surviving culture on earth. They developed paints with which they created rock art that has lasted 6,000 years. They were not permitted to vote until 1975. When the first European immigrants landed, the indigenous tribes held lengthy meetings to discuss whether to fight to expel them or attempt to get along with them peaceably. They decided not to fight as they believed they would be destroyed if they did. Oceanic Issues: Another section of the museum focused on the world’s oceans. Particularly impressive was an exhibit showing the locations of the 100,000,000 people who live no more than a meter above the current sea level, raising the question, of course, of what will become of them as sea levels continue to rise. Other factoids about the seas . . .
One cannot safely swim between November and March on open beaches around Australia because of salt water crocodiles, box jelly fish, and sharks. Coastal towns install heavy nets in the ocean to create safe swimming areas. Nonetheless, about 40 people lose their lives each year. Mangrove swamps provide harbor for 75 per cent of the fish in the water surrounding Australia. Evidence indicates that crocodiles have evolved little in the last 200 million years and continue to grow larger throughout their life span which is typically is about 40 years. And at various stops along the way, we gathered additional tidbits, including . . .
Three acres of land are required to raise one head of cattle in the Outback. The Great Barrier Reef is actually composed of 2900 individual reefs which extend a total of 2300 kilometers along the northeast coast of Australia. Corals are animals that need warm water, sunlight, and nutrients to survive. Uluru and the other similar geological formations in the area are the oldest exposed geological formations on earth. No similar formations exist outside this part of Australia. And that’s that . . . for now. Gallows on the second level of the Old Melbourne Gaol. A section of the floor was tripped and the prisoner dropped to the first floor when hung. 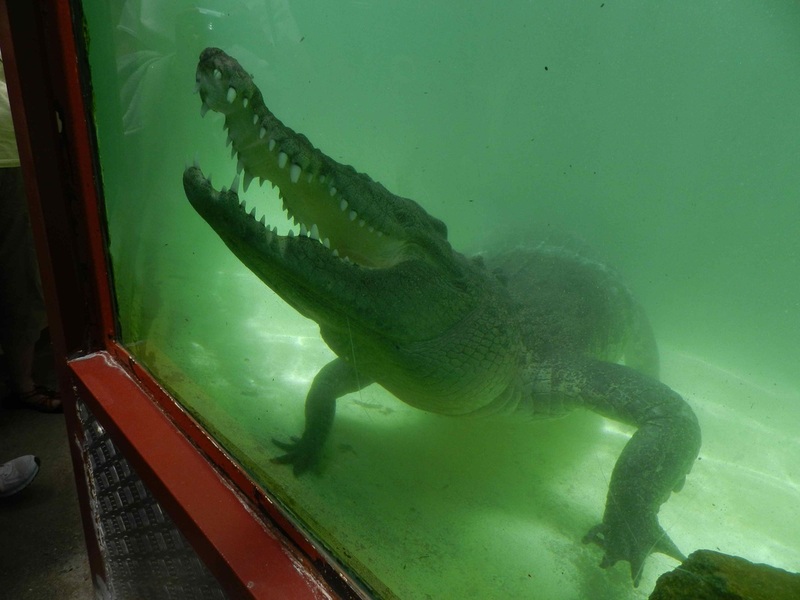 A croc in captivity at the Alice Springs Reptile Center: You can see why you wouldn't want to encounter one in the wild. Look at those teeth! Kata Tjuta (meaning "many heads"): Geologists say this formation near Uluru has been forming for hundreds of millions of years. 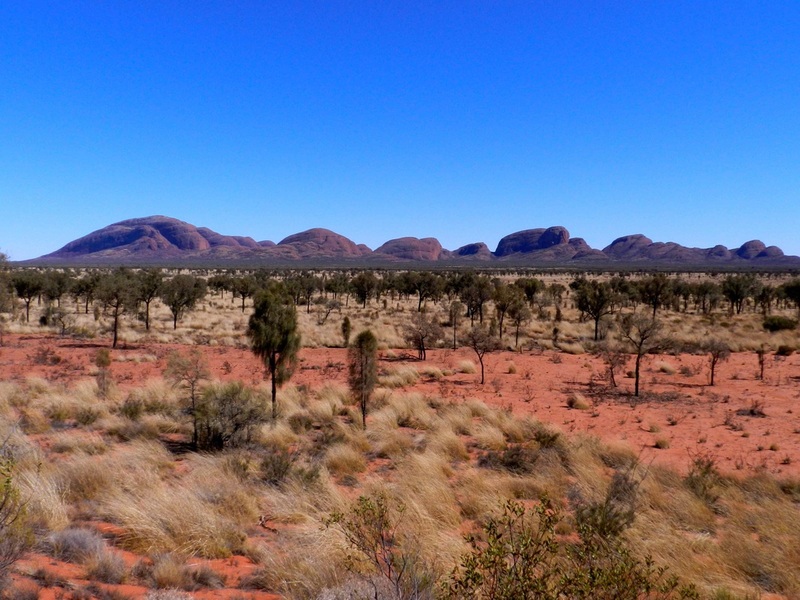 Aboriginal mythology holds that the formations were created by their ancestors in the beginning.